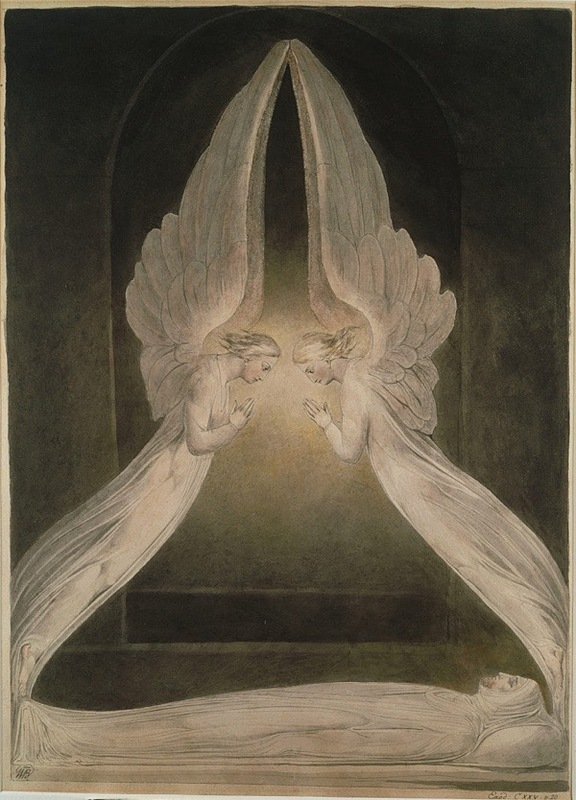 Today is the one-hundred-and-ninety-first anniversary of William Blake’s death on 12th August 1827 and this afternoon at three o’clock a new tombstone will be unveiled in Bunhill Fields in City Rd, marking his last resting place. All are welcome to attend this free event which has been organised by the Blake Society. At the unveiling, Philip Pullman and Rowan Williams will speak and a newly commissioned choral work will be performed. Guests will be invited to place one of one-hundred-and-ninety-one candles around the grave, commemorating the years since Blake’s death. This was fascinating in itself, and then I thought I would have a quick glance at how his grave site was established…….half an hour later I was still reading the account by Luis and Carol Garido of their painstaking and extensive investigation into establishing the true resting place of William Blake. So impressed and indeed overwhelmed by their detective work, they never gave up! I hope they are delighted to know that one of the foremost poet/painters of this country now has a fitting memorial. What an awe inspiring piece of work by the Garridos – thank you for the privilege of being able to read their invaluable contribution to this important event. What an amazing and astonishing labour of love by Luis and Carol! 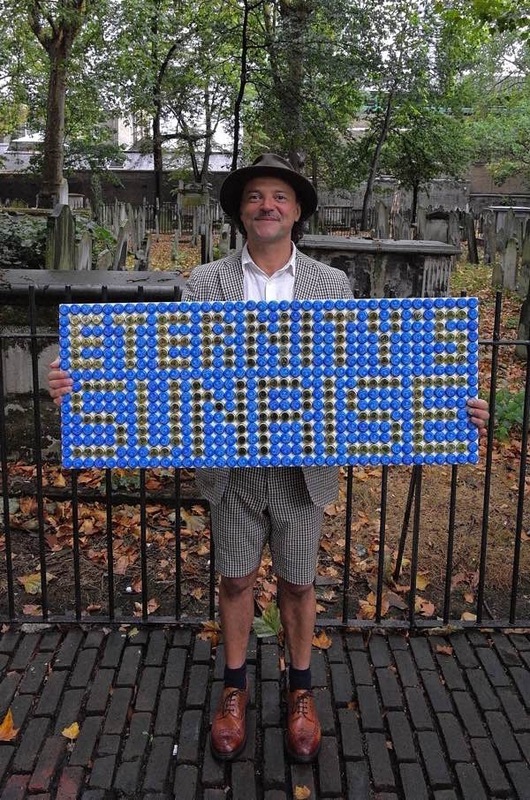 A truly inspirational piece of research that has inspired me to make another visit to Bunhill Fields to pay homage to Blake in his exact resting place. I’m happy to see that of all the many fine English poets, it is Blake whom you deem to be “the greatest”, because the dearest gift is poetic vision, not a facility for words. It is also a most rare gift, and one which you share in no small measure. It is fortunate that this is a Sunday, for I’ve been distracted by your postings of his poetry, and glad of it. Thanks for letting us know about this, I was in the area this afternoon so I went along! It was a great turn out with interesting speakers before the stone was unveiled – very moving. I had planned to visit Bunhill a month or so ago, but it did n`t work out, but I shall certainly make more of an effort. Excellent work by the Garidos. Bravo. What a shame we left London yesterday or we would have come along. Blake is a shining star in our literary firmament. What a splendid event. Oh dear. Could have made it. Looks what happens when one falls behind with Spitalfields Life!